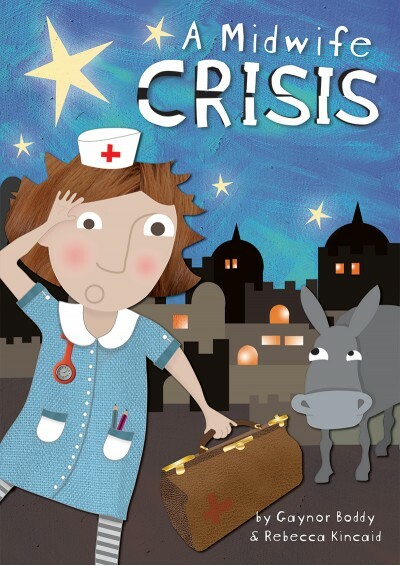 A Midwife Crisis is a delightful modern nativity play about a busy midwife. With the help of a very flustered midwife and her put-upon donkey Steve, the Nativity story unfolds in a hilarious but thought-provoking script, which alongside six really fun, catchy songs makes A Midwife Crisis the ideal choice for your Christmas production. Now available with Words on Screen™ v2. In this modern nativity play, a very busy midwife who never misses an important birth is extremely excited when she hears that a king is about to be born in Bethlehem. She rushes out into the night in search of a shiny golden palace fit for a king. Her donkey Steve doesn’t think he’s ever heard of Bethlehem Palace, but the midwife is in no mood to listen – where else would a king be born? On reaching Bethlehem, the townspeople, shepherds and kings that they come across haven't heard of Bethlehem Palace either and the midwife starts to panic. However, with the help of some gospel-singing angels and a very bright star, the midwife is led to a humble stable to find the very special baby already waiting for her. With a hilarious script and six really fun, catchy songs, this modern nativity play is the ideal choice for your Christmas production. Cast notes: There are 28 speaking parts that can be easily increased by splitting the narrator's, the census-takers' and the shepherds' lines between more children. To expand this play to include more performers, you could have as many townspeople, sheep and angels as you like. For smaller groups, the least number of performers is 16. This would require a teacher taking the narrator's part as well as some performers doubling up their roles and reducing other character groups. Wonderful show for small schools. We performed this musical in three small schools in the Pioneer Valley. It was very well received in each of our small schools. 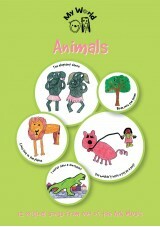 As a music teacher I found this musical very versatile and easy to teach with the resources provided. I would recommend this play and will definitely be using Out of The Ark plays and musicals again. I did this for my production this year. I have a class of 29 and this was made for them.As I read the script I could allocate many children for the different parts. It was my first play in this school and I wanted to do something fun (a lively class so needed something they would enjoy). Isle space is needed and could you many more children as some of mine had two parts. They loved it and was always excited to practice or sing the catchy songs. The parents laughed and laughed too. I will definitely do it again someday. Thank you but not sure how I will beat it next year... How about a panto? 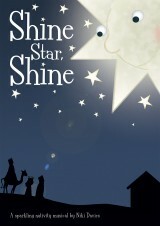 Performed by 24 children from our Sunday School as part of a Sunday Service and EVERYONE enjoy it so much. Children from 18 months to 12 years had lines with older children as the narrator. Our Steve the Donkey was nearly upstaged by a dad (a dance tutor) who, dressed as a camel, performed a sand dance during the kings song - amazing. 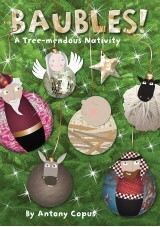 Thank you for such a wonderful telling of the Nativity Story. The Rehearsal CD's were well worth the money - in fact excellent value all round. 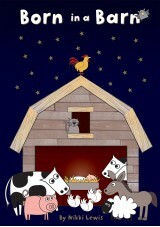 I ABSOLUTELY LOVE this nativity! My 8 yr old did this and I giggled all the way through!! 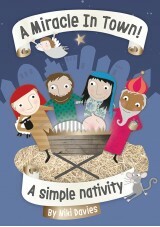 We have so enjoyed rehearsing for this "nativity". The children and the staff have loved it. Lets hope the parents love it just as much! My daughter was so captivated by this music. She couldn't stop singing it and was so excited to perform it. She had always been a bit shy before this with performances, but this seemed to completely captivate her imagination and really brought on her singing capability. fabulous fabulous songs. Can't wait do do this with our infant school, the songs are amazingly catchy and the parents will all have a giggle at the title.